Crisp and bright embroidered moon phases wrap around this warm & stretchy fleece cap. Each image is placed to create a precise 360˚ model of the Moon's orbit around the Earth. The fleece cap comes with instructions sewn with moon phase names and which order they go in. One size fits most adults and kids. 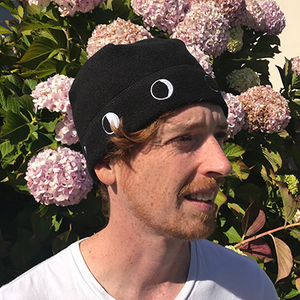 Forbest Magazine named the Moon Phase hat "Best Science Gift of 2018!" Hat designer, Daniel Cummings is a dad of 3, coder, amateur astronomer, writer and educator from Croton-On-Hudson, NY. 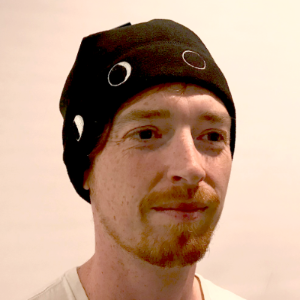 He invented the Moon Hat in 2018 as a way to embed this knowledge of the Moon's orbit and Moon phases into everyday life.